Our temporary internet service is suitable for all kinds of events and locations including conferences, corporate functions, meetings, festivals, television & film production, trade & fashion shows and sporting events. Popular use cases include: registration and ticketing, POS credit card systems, email, web surfing, file transfers, VOIP, and live streaming. 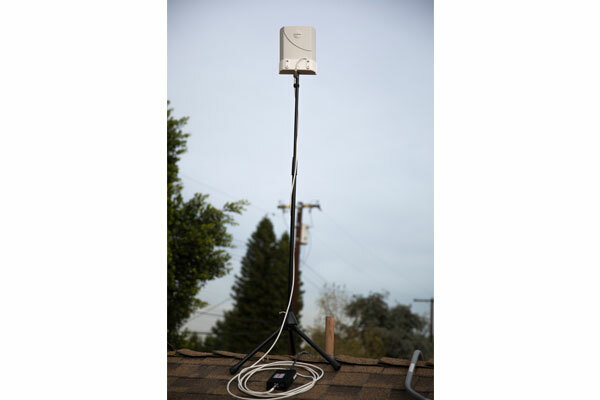 Since our system is portable and wireless we do not require long lead times to install. Our process for premium customers begins with a site survey to determine the available cellular connections, power sources, locations for network runs and positioning of WiFi access points. Next we pre-configure the network to your exact specifications then install everything so you don’t have to lift a finger! Forget the hassle of renting a portable WiFi box and setting it up yourself. We provide an IT tech who will install the entire system for you and more importantly, will monitor network conditions, make adjustments to keep the network optimized, and provide hands-on assistance to your end users. 4 cellular connections combine to provide high bandwidth reliable throughput. Our sophisticated computer controlled routers will be programmed to optimize the available internet sources and distribute the bandwidth to wired and WiFi end users. Advanced features such as SpeedFusion® bonding provides a stable unbreakable data path for critical applications such as live video streaming. 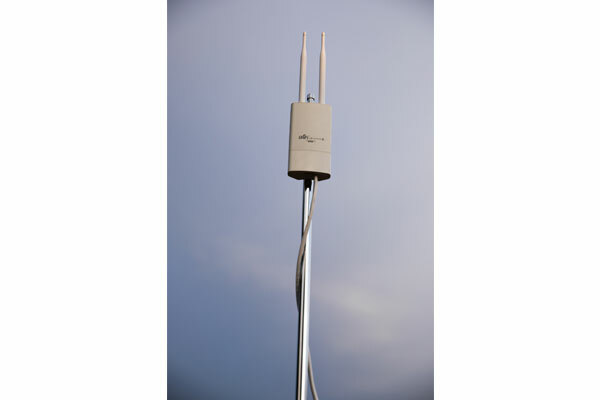 The built-in cellular modems support the latest LTE-A (LTE Advanced) technology including the ability to find and select the best frequency bands available on a given cell tower. This provides superior performance compared to all other cellular devices. We deploy highly specialized antenna systems in locations that have weak cellular signals. This significantly improves the available LTE bandwidth which is passed on to your end users. For broader coverage we set up high powered WiFi access points strategically placed for the best performance. Events by their very nature depend on the aggregation of temporary resources, one of which is internet connectivity. Many venues offer their own internet solution which is always the best place to start since the network is already in place. Unfortunately the “house” system may not suit your needs for a number of reasons. For example the connection may be too slow, or they only have shared WiFi and you need a dedicated connection for POS devices. In other instances they may want to charge you an exorbitant amount beyond your budget. If the venue internet offering does not meet your needs, or there is no internet available at all then a temporary internet service is your best bet. This section will help you understand your options for a temporary internet solution based on your requirements for performance, timeline, and budget. This is the solution we offer because it provides the best balance of performance, timeline and budget. 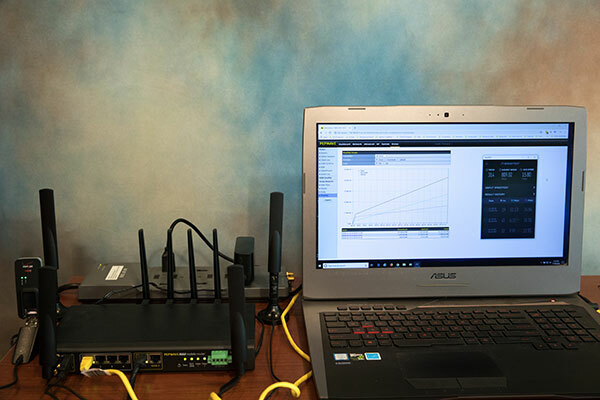 Expect companies to incorporate industrial grade routers that distribute data through multiple 4G LTE connections and install high-end WiFi Access Points. Performance: Data speeds vary as a result of the location and local congestion of cell towers near your venue. This is why it is important to diversify internet sources by using modems from Verizon, AT&T and T-Mobile. Depending on the sophistication of the cellular router, there are three different ways to manage traffic. The first is fail-over routing. This uses one cellular connection and switches to a different connection if the first one fails. The second method is load balancing. This process splits up internet traffic across all available cellular connections creating more total throughput. The only catch is that if the cellular connection you have been assigned by the router is not fast enough then your app might buffer. The third method is bonding. Bonding is an advanced process that creates one large data pipe from all of the cellular connections so that any application that needs one large stream (such as video streaming) will have sufficient bandwidth. Timeline: Fast. Minimal lead time required. Budget: Low for the basic setup. Cost increases when the total bandwidth and number of simultaneous users goes up. 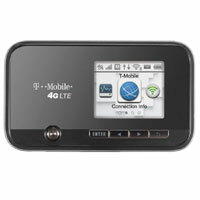 This would include using the wireless data available on your smart phone and WiFi Hot Spots. Performance: Very limited number of end user connections. WiFi only. 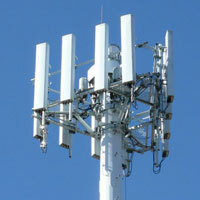 Speed and connection are limited due to small internal antennas. Not reliable in crowded settings. Subject to bandwidth throttling after reaching data cap. Timeline: Totally portable. No installation or setup required. Budget: Most affordable. Cost of data plan only. Most services are intended for permanent installation but there are some providers who specialize in mobile solutions for event usage. These would either be a truck or van with a mounted dish, or a portable dish that can be mounted on a rooftop. Performance: Typically consistent reliable data speeds. Upload speeds are usually much slower than download. Timeline: Fast deployment is possible. Rooftop dish mounting requires extra setup time for alignment. Budget: Medium, but high speed data is expensive. 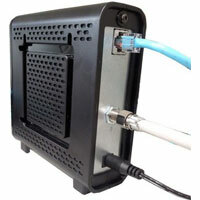 Here we are talking about a traditional cable modem used for residential or business customers. 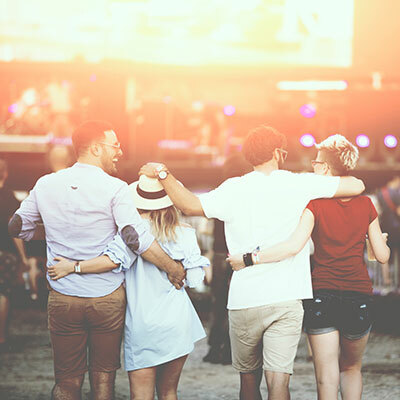 There are a few internet providers who will install a temporary hard-line connection for your event but keep in mind that there is a premium expense to install the cable. Performance: More consistent than wireless solutions but speeds can still fluctuate unless you order business class service. Easier to get true unlimited data. Timeline: Slow. Extra lead time required to arrange for a technician to install the cable. 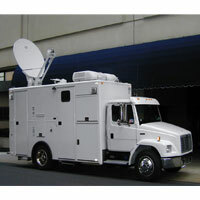 Similar to the cable drop except here we are talking about elite service for mission critical events. Internet delivered on optical fiber is truly top tier service. Performance: Consistent, extremely fast. Often comes with a Service Level Agreement and unlimited data. Timeline: Slow. Extra lead time required to arrange for a technician to install. 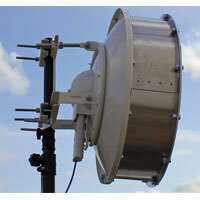 As an alternative to the cable/fiber drop there is the point-to-point microwave link. The source is usually a dish mounted on the roof of a tall building or a dedicated transmission tower. 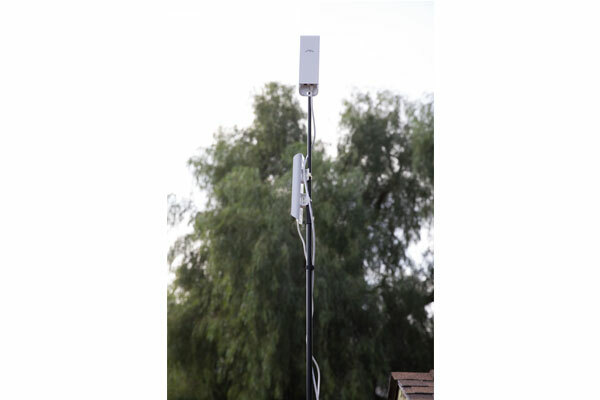 Installation is quicker as there is no cable to install however the geometric location of the source antenna has to accommodate a direct line-of-sight to your location. Timeline: Moderate. Extra lead time required to install and align the dish at the receiving end. Our service is designed to be convenient, reliable, affordable and hassle-free. We offer two basic packages; Standard and Premium. Both packages include set-up and live on-site tech support. We are there to keep things running smoothly including hands-on assistance for all end users. 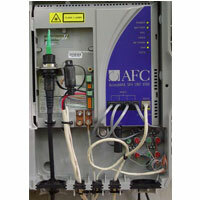 “Standard” is best suited for simple networks with up to 30 users. The Premium package handles up to 150 simultaneous users and offers additional features such as a separate guest network with usage limits, pre-event site survey, live streaming support, and extended coverage. Packages can be customized with optional services as indicated at the bottom of the comparison chart. Convenient, reliable, affordable and hassle-free!